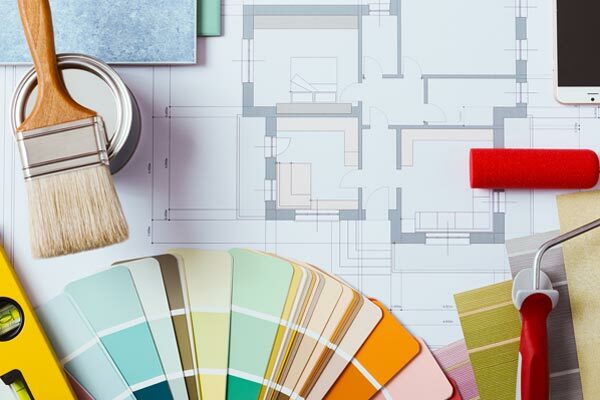 Here at Marcela Montoya Remodeling, we go through a careful process with all our clients that spans from the initial design consultation through construction and finishing. In order to complete a successful design or home improvement project, there has to be open communication and collaboration for all involved. That collaboration starts with the very first phone call. This is where we capture the essence of your needs over the phone to better understand what you want as your trusted home improvement company in Ft. Lauderdale. We will then schedule a mutually convenient time for one of our team members to visit your home. At the home visit, we will sit down with you to further discuss your design needs and budget. Whether you’re looking for a simple re-design of your living room or a complete kitchen remodel, we can develop a detailed plan that encompasses material selection, space layout, and design to help both parties visualize the finished space. At this time, you will also be given an estimate for the entire project for home improvement in West Palm Beach. As part of our design planning, we will take photographs of the existing space, take notes and detailed measurements, and speak with you about your end goals. Whether you have a large family and want more living space or you’re looking to increase the size of your master bath, we can help. Once the initial layout and designs are created, the next step is to begin construction, with all materials and fixtures approved by the client prior to ordering. Next comes finishing and final walk-through to deliver on promises of the highest quality design and home improvement in West Palm Beach and surrounding communities. Contact Marcela Montoya Remodeling Today! To learn more about our process from start to finish, consult with our home improvement company in Ft. Lauderdale at 954.900.9992.